A dainty, vintage-inspired hair comb adorned with rainbow-reflecting AB crystals for super pretty style. 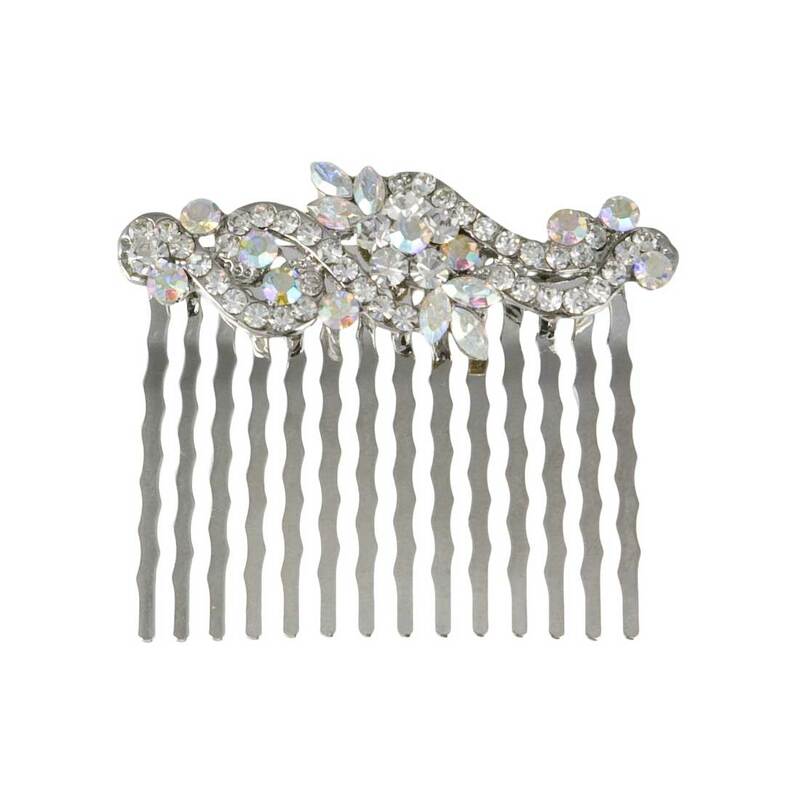 Featuring ornate scrolls, this classic hair comb is adorned with clear Austrian crystals and enhanced with AB crystals for delightful feminine style. Perfect to dress hair with subtle sparkle, this silver tone design takes inspiration from Edwardian hair jewellery and is certain to appeal to fans of ornate vintage crystal hair accessories. Its neat and verstaile size ensures this design is perfect for all hair types and looks divine worn pinned randomly in a loose chignon, to soften an elegant up-do or in tumbling curls. A beautiful 'piece' for brides and bridesmaids who adore more subte vintage wedding hair combs, this will compliment most styles of bridal gowns.